NEW! Free Shipping anywhere in the contiguous US! 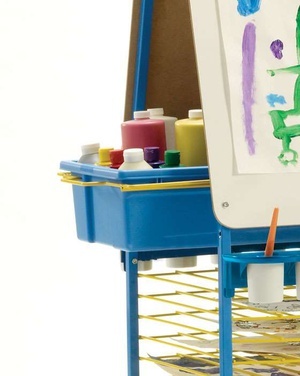 Create the perfect Arts & Crafts station with our art easel. 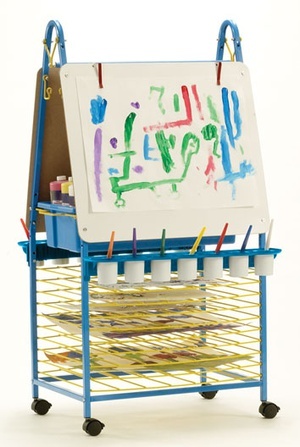 The built in drying rack means little Picasso's projects won't be left around in the classroom. 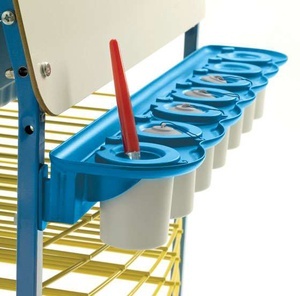 In 1989 George Phillips retired from an educational career and developed "The Science Block Kit" in his basement to teach hands-on science for the elementary grades. Thus began Copernicus Educational Products. With the help of his son Jim, Copernicus grew out of the basement and into a small manufacturing facility. Today they employ a team of 60 employees in a 40,000 sq ft facility. Many of the products fall within the National Standards for Reading First and Title 1. Since 1989 Copernicus has maintained the same focus on innovative, teacher driven and child safe educational products.